RAW files can dramatically improve photography on the go, but Android and Windows need to push for stronger mobile support first. Apple dominates mobile photography. A quick look at Flickr’s camera finder shows Apple devices are far ahead of any other brands for image uploads, including traditional camera makers like Canon and Nikon. But that’s not because Apple makes the best cameras. Nokia, LG, Samsung, Oppo and others all deliver photos just as good or better, but Apple has built a strong reputation over the past few years, going so far as to print full size billboards in its “Shot with iPhone” campaign. If Android and Windows manufacturers and developers want to catch up to Apple’s mindshare in the space, its cameras have to beat theirs by a wider margin. The good news is that many Android and Windows devices already support a powerful feature to help solve that problem: RAW photography. The bad news is that hardly anybody uses it. What is RAW and how is it different from JPEG? RAW files are essentially uncompressed and unprocessed image data from your camera. They contain a lot more information than JPEGs, but need to be run through a process called demosaicing with special software before they’re usable. Because they need to be processed, RAW files may look slightly different from software to software. It’s similar to how websites can look slightly different from browser to browser due to variations in code interpretation. RAW files are also much larger. JPEGs save space by getting rid of most of the information your camera originally captured – it keeps only what’s necessary to display the final image. A 16 megapixel photo may be around 3-5 MB as a JPEG, but is closer to 20 MB as a RAW file. More specifically, JPEGs work with 256 shades per of red, green, and blue channel to form a final image. RAW files, on the other hand, typically contain 4,096 per color, sometimes more on high-end cameras. So RAW files look better, right? They can, once you put the work into them. A JPEG’s 16.7 million colors (256^3), are more than enough to create a realistic photo. But manufacturers tune JPEGs to their own ideals about what makes the best image, so the colors on your photos aren’t determined nearly as much by the hardware on your phone as by the software running through it. Because of this, JPEGs look as good or better straight out of camera – again, it depends on the software reading the RAW file – but the advantage for uncompressed files is that they can be edited more extensively before deteriorating to the point of being unusable. Manufacturers can embed image profiles onto RAW images to approximate their own tastes, but the point is you’re not limited to pre-programmed settings about how to make an image look good. I lifted the shadows and strengthened the colors. I also decided not use noise reduction at full blast to maintain more detail in darker areas. Once you tweak the images to your liking, you can save it as a JPEG to “lock” in the look in a smaller, more shareable compressed file. What exactly can you do with a RAW file? White balance can be set manually after a shot is taken. Highlight recovery is much improved. You have a better chance at turning that blown out white sky back to a natural blue, for example. The same goes for shadow recovery – you can pull out details from dark areas you didn’t even know was there. If your photo is under or over exposed, you can brighten or darken without introducing as much noise as on a JPEG. Sharpening can be tuned properly for the individual image. For example, some phones tend to oversharpen, and portraits generally look better with less sharpening than landscapes, for instance. Color adjustments are much more accurate without the normal artifacts that comes from messing with images. This is particularly crucial for skin tones, food photography, and nature shots. Filters look better, as they have more color information to work with before an image gets degraded. Combined, these add up to seriously improved potential image quality. I would argue a well-processed RAW file from an older camera will outclass a generational leap in sensor technology. Moreover, images can take on your own aesthetic, rather than your phone maker’s. A JPEG is like taking your photo to be developed at your local pharmacy; a RAW file puts you in the darkroom. So why isn’t everyone using RAW? There’s also the catch-22 of adoption. 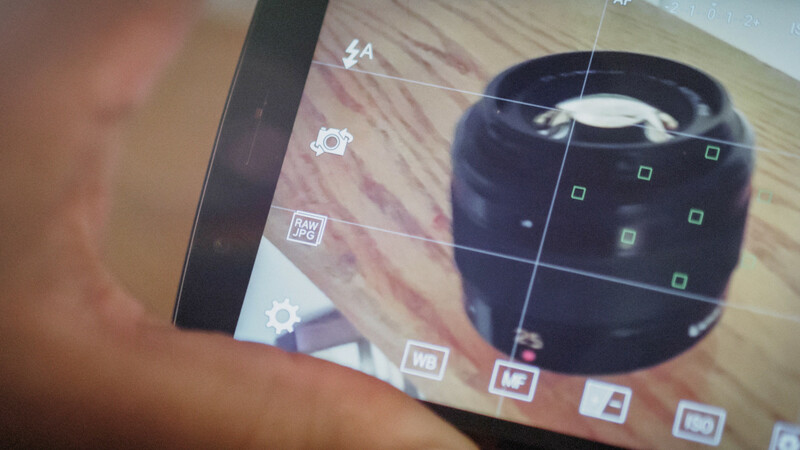 Few mobile imaging apps support RAW, so few people shoot RAW. Few people shoot RAW, so few apps support it. The hardware limitations are relics of the past. Phones today are more than powerful enough to handle RAW processing; Lightroom Mobile already does with aplomb. And with greater onboard storage and better access to the cloud, space limitations shouldn’t be a concern either. But more importantly, the way we interact with images is different. Applying editing tools and filters to our personal photos on social media is no longer an exception limited to obsessive enthusiasts, but rather expected, as evidenced by continually more sophisticated image manipulation features built into everyday software like Instagram. Mainly, because it’s a darn shame. Sticking with JPEG is like watching The Lion King on VCR when it’s available on Blu-Ray. Not everyone cares about taking better photos, but it’s clear many do. Just take a look at apple’s “Shot with iPhone” campaign; advertising for flagship phones centers around cameras, flaunting things like resolution and aperture when a more substantial improvement lies with a feature right under our noses. For Android and Windows Phone, investing resources into making their RAW files more accessible can help give them a big head start over Apple. RAW support on its own is awesome, but software developers and manufacturers need to make it easy to use before the masses adopt it. I should be able to upload a RAW file straight onto Instagram, not be forced to buy a Lightroom Mobile subscription or load it onto my computer. In any case, it’s likely RAW will come to iOS too. With cellphones replacing more dedicated cameras every day – and more accessories to make them even more powerful – it’s only a matter of time until the format becomes more commonplace. It might take more space on your phone and a bit longer to process, but if you care at all about mobile photography, the improvement is worth the switch.